How can I set up conditions based on the Input Table (Matrix Field)? I have an input table created, and if someone lists an amount in a couple of the boxes, we need further information. So I have a question outside the table that I can hide or reveal depending on whether the person gives an answer in one of the boxes. 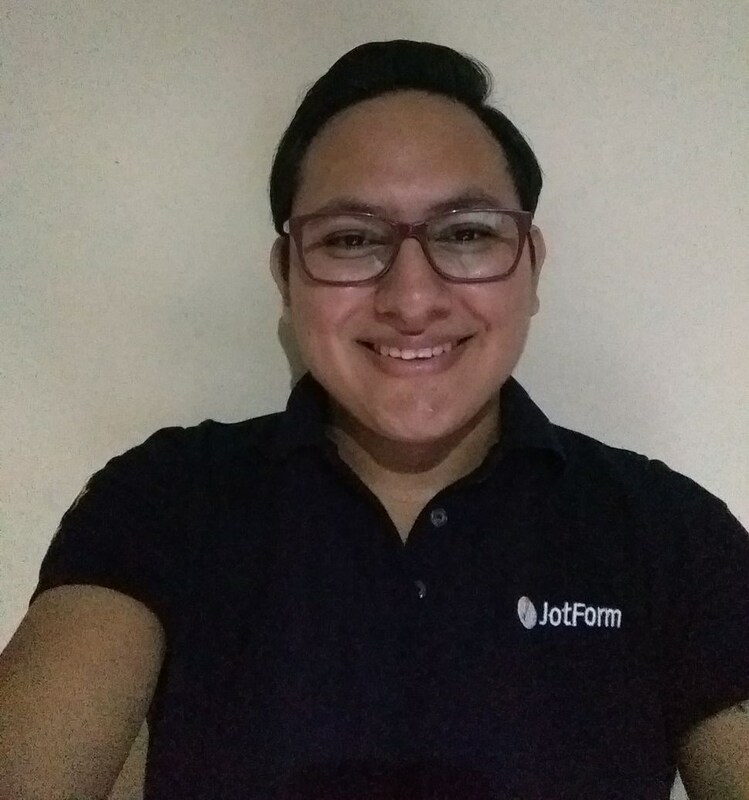 However, it does not appear that I can use conditions based on someone's answer in an input table, because those "fields" are not available to me in the conditions logic (like there are with a multiple choice or single choice list). How can I create an input table that will allow me to say that if someone enters a value in the fifth box down, a follow up question will pop up? 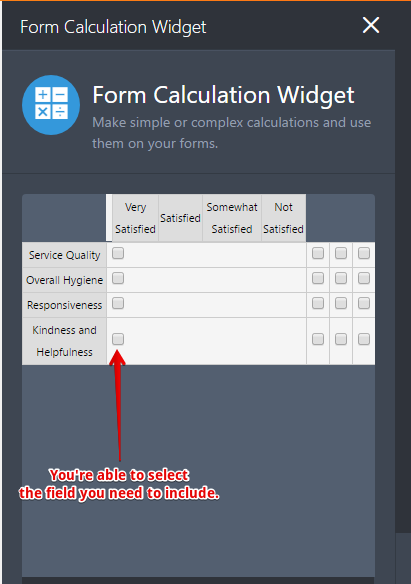 Yes, there's no way to set up conditions based on the info entered using the Input Table itself; however, as a workaround you could use the Form Calculation widget to get the input from a field in the Input Table. 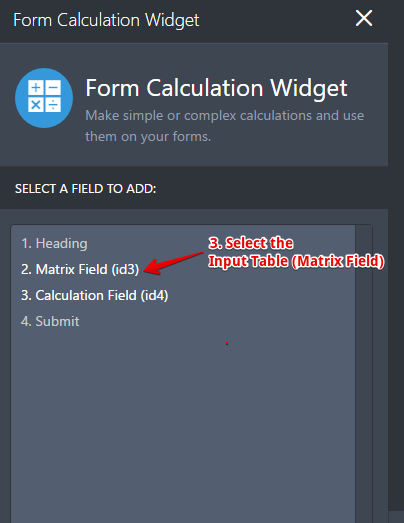 You will get the same matrix field with its sub-fields, you could select the fields you need to get from the table, select only one field otherwise you will get the values from multiple inputs. You could do the same to get the single entered value in a field of the matrix field. Please, give it a try and let us know if you have any question. This is a great solution! Thanks so much! One more question...could this (or another widget) be used to force a certain value into one of the boxes in the matrix? There is one box where the parent should not enter anything because the question only pertains to the student. So, on our printed form, we just have XXXXX in the parent box for that question. Is it possible to force a XXXXX value into one of the boxes? 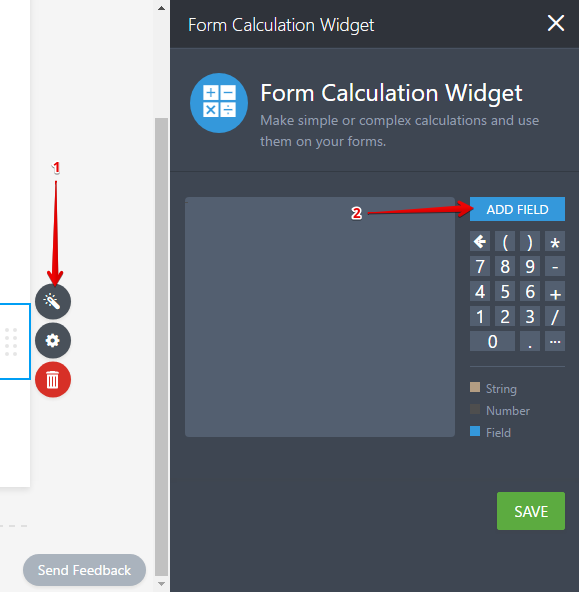 Unfortunately, the Matrix Field will not allow you to set default values, upon checking on our widgets I could not find either one that will allow you to have multiple entries and allow the predefine values in single fields. 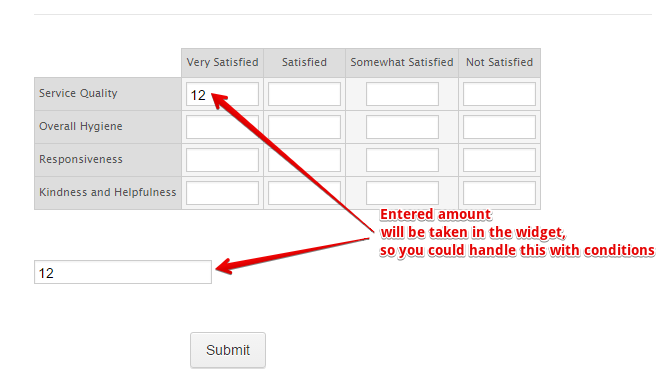 You would need to use basic fields and display them inline, this way you could either disable all those desired fields.